Happy Super Bowl hangover! I hope you like Qdoba. 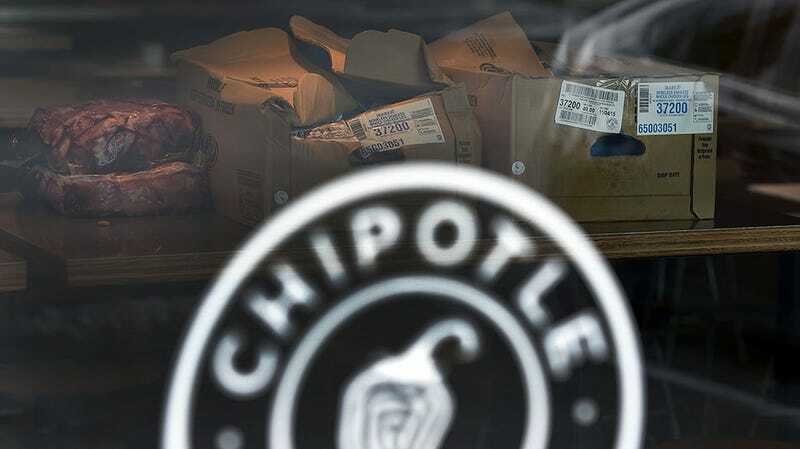 Chipotle’s pre-planned, nationwide shutdown for a food safety meeting will delay the opening of over 400 restaurants. That means that your local Chipotle will open at 3pm instead of the normal 11am. Though Chipotle scheduled the meeting in mid-January, the timing is quite fortuitous. Exactly one week ago, the CDC declared that the outbreak was over. Too bad we’ll never know what caused it. Update: Chipotle is giving away free burritos because it screwed up your lunch plan. Read about how to get one here, if you’re feeling dangerous. You will have to surrender your cell phone number to Chipotle’s data team, however.